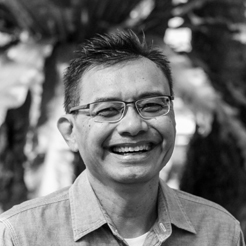 Adrian Chong brings more than twenty-five years of experience in entrepreneurship, sales, general management and training to the Conversant group. Specializing in teams and organizational effectiveness, Adrian helps individuals, teams, and organizations achieve bottom-line results and become measurably more vital. He has extensive experience working with organizations ranging from government institutions to global corporations in the Philippines, Singapore, Hong Kong, Malaysia, Thailand, India, Indonesia, China and Japan. Among his client list are Bank of America Merrill Lynch, Citibank, AIA, Prudential, Chubb Insurance, NTUC Income, Watsons, Roche, Oracle, Cisco Systems, Unit 4, the Changi Airport Group, Housing & Development Board, National University Health System, Institute of Mental Health, Health Promotion Board and the Ministry of Education. Adrian loves helping others to be more influential and connected – to make a difference through the human touch to deepen relationships. He believes that in our world where the pace of business is getting faster and faster and with technology focused on making us more connected, it’s ironic that many feel more alienated than ever from each other. Adrian strongly believes this alienation is the main obstacle to having better relationships, working better together and having a more purposeful life. He is passionate about family values and giving back to the community which he does through various volunteer organizations. He enjoys keeping fit by going to the gym, running along the beach and going head-on in weekly battles on the badminton court.